Senate Bill Would Legalize Medical Marijuana For Military Veterans. Sens. Bill Nelson (D-FL) and Brian Schatz (D-HA) last Wednesday filed the Veterans Medical Marijuana Safe Harbor Act, under which Department of Veterans Affairs (VA) doctors could issue medical cannabis recommendations to veterans in states where it is legal. The bill is not yet available on the congressional web site. New Utah Poll Shows Continuing Support for Medical Marijuana Initiative. Despite the Church of Latter Day Saints coming out against the Proposition 2medical marijuana initiative, support for the measure remains strong, a new poll finds. The poll had 64% either "somewhat" or "strongly" in support of the measure. California Lawmakers Pass Bill that Will Support Local Cannabis Equity Programs to Increase Representation in the Industry by Persons from Communities Most Harmed by Cannabis Prohibition. The legislature has approved Senate Bill 1294, which helps create equity in the cannabis industry through the distribution of grants to localities offering assistance to persons most harmed by cannabis prohibition and generational poverty. SB 1294 will offer grants to localities with existing equity programs -- such as Los Angeles, Oakland, Sacramento, and San Francisco -- to support them as they offer equity-qualifying applicants and licensees business loans and grants, regulatory compliance and technical assistance, and licensing fee waivers. SB 1294 reflects a nationwide movement to ensure that this growing industry is representative and accessible to all persons, no matter their financial or criminal history background. Advocates, entrepreneurs, and local governments now call on Gov. Jerry Brown (D) to sign this important measure. Delaware Governor Signs Marijuana Expungement Bill Into Law. Gov. John Carney (D) last Friday signed into law Senate Bill 197, which "provides mandatory expungement eligibility to individuals who were convicted of the possession [of one ounce or less], use or consumption of marijuana prior to Delaware's decriminalization of these offenses." The provision only applies to people who have no other criminal convictions on their records. 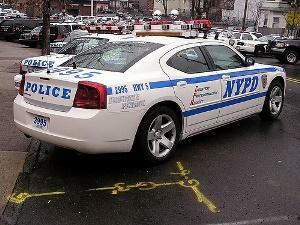 New York City Change in Marijuana Arrest Policy Now in Effect. As of Saturday, the NYPD is no longer arresting people for small-time marijuana use or possession in most cases. The city arrested more than 10,000 people on such charges last year. Officials said the change came because the arrests had nothing to do with public safety and were racially disproportionate. "Our new policy, we're going to see a humongous drop in people in communities of color being arrested for marijuana," NYPD Chief Rodney Harrison said. "And that was one of the whole goals of this whole new policy." 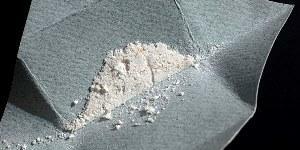 DEA Makes Synthetic Cathinone Schedule I Substance. The DEA last Friday announced it was placing the synthetic cathinone N-Ethylpentylone into Schedule I of the Controlled Substances Act. This is a temporary scheduling action good for up to 24 months, during which time research will be conducted to see if the drug should be permanently scheduled. DEA said the drug was linked to 151 deaths in the US since 2015. California Lawmakers Pass Bill Giving Judges the Power to Set Aside Ineffective and Punitive Five-year Sentence Enhancement. The legislature last Friday gave final approval to Senate Bill 1393, which would restore judicial discretion to the application of a five-year sentence enhancement for each prior serious felony on a person's criminal record. Current law requires judges to add an additional five-years to cases, even when the judge believes that the punishment is unjust and unwarranted. If signed into law, judges would have maximum flexibility during the penalty phase of a trail to impose, or not impose, the additional five-years. A coalition of people who are directly impacted, their families, service providers, and advocates now call on Gov. Jerry Brown (D) to sign this important measure. 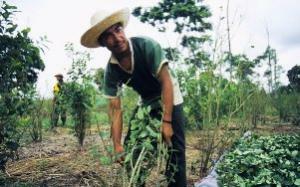 Colombian President Moves to Recriminalize Drug Possession. President Ivan Duque announced on Sunday measures to give police the power to seize personal use quantities of drugs that had previously been legalized. "This week will sign the decree through which, in development of the police code 02 of the 2009 legislative act, we will give the authorities tools to confiscate any dose of drugs or hallucinogens in the streets of Colombia, and thus face the root of micro-trafficking problems," said Duque. The measures would appear to contradict rulings by the country's Constitutional Court, which in 2012 approved the decriminalization of small amounts of cocaine and marijuana for personal use. 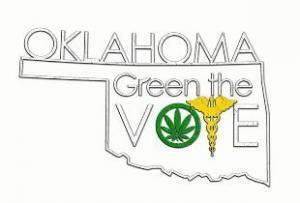 Oklahoma Legalization Initiative Has a Month Left to Meet Signature Requirement. A marijuana legalization initiative, State Question 797, has until August 8 to gather enough signatures to qualify for the November ballot. Organizers need 123,724 valid voter signatures to qualify, and have gathered more than 80,000 in two months of canvassing. To have a safe cushion, organizers need to roughly double their signature count in the remaining weeks. Arkansas Issues Cultivator Licenses. The state Medical Marijuana Commission has awarded cultivation licenses to five medical marijuana businesses. The move comes after an injunction blocking the move was lifted. Another 90 potential medical marijuana businesses were out of luck, but the commission will keep their applications on hand in case one of the five awarded licenses is revoked or if the commission decides to award the three additional licenses it could issue. Oklahoma Approves Emergency Rules for Medical Marijuana, Bans Sale of Smokable Medicine. The state Board of Health on Tuesday approved a proposed draft of emergency rules for the state's new medical marijuana program, but also voted to prohibit the sale of smokable marijuana at dispensaries. Licensed medical marijuana patients could still smoke it if they grew their own. "The Department of Justice today announced the finalization of an April proposal to improve the Drug Enforcement Administration's ability to control the diversion of dangerous drugs in the midst of the national opioid crisis. Announced in April by Attorney General Jeff Sessions, the final rule sent for publication today in the Federal Register establishes that DEA will take into consideration the extent that a drug is diverted for abuse when it sets its annual opioid production limits," the DEA said in a press release Tuesday. "If DEA believes that that a particular opioid or a particular company's opioids are being diverted for misuse, this allows DEA to reduce the amount that can be produced in a given year. These revised limits will encourage vigilance on the part of opioid manufacturers, help DEA respond to the changing drug threat environment, and protect the American people from potentially addictive drugs while ensuring that the country has enough opioids for genuine medical, scientific, research and industrial needs." Philippines Wants to Drug Test All High School, College Students. In what is actually a retreat from an earlier proposal to require mandatory drug testing for students as young as elementary school, the Philippines DEA is now proposing the mandatory drug testing of all high school and college students. But the move would require a change of law. Current Philippines law only allows for random -- not universal -- drug testing of students. Sri Lanka to Begin Hanging Drug Dealers. President Maithripala Sirisena told his cabinet Wednesday he was "ready to sign the death warrants" of repeat drug offenders. "From now on, we will hang drug offenders without commuting their death sentences," he said. While the death penalty for drugs remains on the books in Sri Lanka, no one has been executed for a drug offense since 1976. The government said it would try to replicate the "success" of hardline drug policies in the Philippines. Vermont becomes the 9th legal marijuana state, the DEA gets a new acting administrator, Mexico elects a new president who has new ideas for ending drug war violence, and much, much more. Massachusetts Issues First Pot Shop License. The state's Cannabis Control Commission on Monday approved its first license for a retail marijuana outlet. The commission approved a license for Cultivate Holdings to open a retail shop. 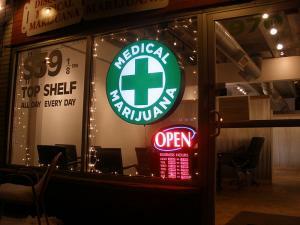 The shop already exists but has operated as a medical marijuana dispensary up until now. North Dakota Could Vote on Marijuana Legalization in November. A little-noticed legalization initiative now looks like it may qualify for the November ballot. Organizers with Legalize ND say they have 16,000 raw signatures and are aiming at 20,000 before they turn them in next week. The initiative needs 13,452 valid voter signatures to qualify. Northern Marianas Islands Legalization Bill Advances. The island US territory's House Committee on Judiciary and Governmental Operations has recommended passage of a marijuana legalization bill, Senate Bill 20-62. Now, the measure awaits a go-ahead from Speaker Ralph Demapan (R) for it to head for a House floor vote. Vermont Marijuana Legalization Is Now in Effect. As of Monday, it is legal to grow and possess small amounts of marijuana. 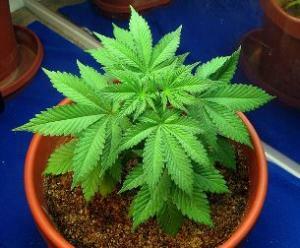 People 21 and over can possess up to an ounce and two mature and four immature plants. But commercial sales have not been legalized. Oklahoma Governor Says No Special Session for Medical Marijuana. Despite saying before the June 26 election that the successful medical marijuana initiative would require a legislative special session to be implemented, Gov. Mary Fallin (R) said last Friday that she and House and Senate leaders have decided that a special session isn't necessary. Instead, the Health Department will be charged with promulgating emergency rules. Utah Medical Marijuana Initiative Foes Seek Emergency Restraining Order to Block it from Ballot. The Coalition for a Safe and Healthy Utah, which includes the Utah Medical Association, the Eagle Forum, the Utah Police Chiefs Association and other law enforcement groups, last Friday asked US District Court Judge Clark Waddoups to issue an emergency injunction. They argued marijuana remains illegal under federal and state law. But the state attorney general's office opposes the injunction. "There is no emergency," argued Assistant Utah Attorney General David Wolf. "The election is months away, and the voters may reject the Initiative and moot the constitutional issues that, in Plaintiffs' view, justify an emergency (preliminary) injunction." 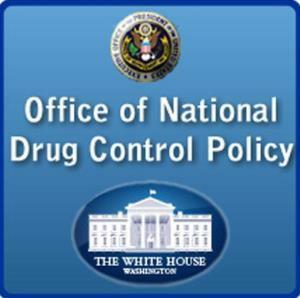 Acting DEA Head Named. The White House has named Uttam Dhillon as acting DEA administrator. Dhillon is a former career federal prosecutor who has also served in the Department of Justice, the Department of Homeland Security, and the Trump White House. South Australia to Crack Down on Marijuana. Resolutely moving firmly backward, South Australia's Liberal government is moving to crack down on marijuana users as part of a larger drug war offensive. Under a proposal from Attorney-General Vickie Chapman, fines could increase from $500 to $2,000, and users could face up to two years in jail. Another member of the Liberal government, Health Minister Greg Hunt, even resurrected the hoary old "gateway drug" canard. "Marijuana is a gateway drug. The risk of graduating to ice or to heroin from extended marijuana use is real and documented," Hunt said. Luxembourg Approves Medical Marijuana. 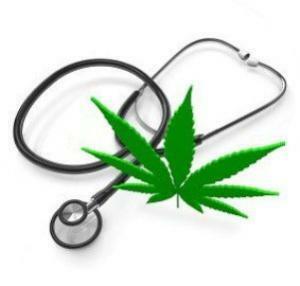 A bill legalizing medical marijuana passed the parliament on June 28. The bill specifies qualifying conditions including chronic pain, chemotherapy-related nausea and muscle spasm as a result of multiple sclerosis. The marijuana will be imported from Canada and will only be available by prescription from pharmacies located within one of four hospitals in the 98-square mile country. Mexico Elects President Who Will Likely Try New Approaches to Drug War. Andre Manuel Lopez Obrador (AMLO) was overwhelmingly elected president of Mexico on Sunday. During the campaign, AMLO suggested a willingness to negotiate peace and even offer amnesty to some people in the drug trade. On Sunday night, he talked in the same terms. "The failed strategy of combating insecurity and violence will change," Lopez Obrador said. "More than through the use of force, we will tend to the causes that give rise to insecurity and violence," the president-elect added. He said his team will immediately begin consulting with human rights groups, religious leaders and the United Nations to develop a "plan for reconciliation and peace." A second acting DEA administrator is set to resign, New York City Mayor de Blasio has a plan to reduce Big Apple marijuana arrests, the Canadian legalization bill heads for the goal line, and more. New York City Mayor Announces New Policy to Reduce Marijuana Arrests. 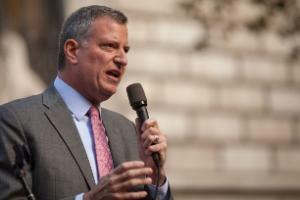 Mayor Bill de Blasio said Tuesday that the NYPD will not arrest many people caught smoking pot under a new policy set to begin September 1. But people on probation or parole or who have open arrest warrants would still be arrested. Around 17,500 people are arrested for marijuana possession each year; de Blasio said the policy shift would turn about 10,000 of those arrests into citations instead. Advocates Slam Mayor de Blasio's New Marijuana Arrest Plan. The Drug Policy Alliance and VOCAL-NY said the mayor's announced move doesn't go far enough and does not address the racial disparities in arrests that prompted the policy shift in the first place. "It's frustrating that as the New York State Health Department moves toward legalization, the City is continuing its shameful history of racist marijuana enforcement. It is also confusing because the new policy does not appear to address racial disparities at all, which was the issue that supposedly prompted this in-house review," said Civil Rights Campaign Director Nick Encalada-Malinowski and Drug Policy Alliance New York Director Kassandra Frederique. "The exceptions that the Mayor has laid out -- arrests for people on parole or probation, people with criminal records, people with warrants or lacking ID, or for 'officer discretion' -- will compound existing collateral consequences and all but guarantee the status quo of racial disparity continues." Florida Smokable Marijuana Ban is On Again. The on again-off again ban on state medical marijuana patients using smokable forms of marijuana is on again. A state appeals court has ruled that the state's ban will remain in effect "pending final disposition of the merits of (a recent) appeal." A circuit court judge had invalidated the ban, but the state Health Department appealed that decision, and now the ban is on until the case is decided. Acting DEA Head to Step Down. Acting DEA administrator Robert Patterson told staff at the agency Monday he is retiring. Patterson said in an email to staff that he "realized that the administrator of the DEA needs to decide and address priorities for years into the future -- something which has become increasingly challenging in an acting capacity." Patterson is a 30-year veteran of the agency who replaced the previous acting administrator, Chuck Rosenberg. Rosenberg resigned over policy differences with the Trump administration. Canada House of Commons Votes to Legalize Marijuana, Sends Bill Back to Senate. The House of Commons voted 205-82 Monday to approve some Senate amendments to the C-45 legalization bill, sending the bill back to the Senate for continued debate and a final vote. The Commons rejected the Senate's proposed ban on marijuana companies selling branded merchandise and allowing provinces to ban home cultivation.